Arizona May Legalize Lane Splitting | Phoenix Personal Injury Law Blog - Breyer Law Offices, P.C. blog home Motorcycle Accident What Is Lane Splitting, and Could It Impact You? Motorcycle crashes are consistently in the headlines in Arizona. While sometimes they are caused when riders lose control, like the recent crash at 143rd and Vineyard Avenue in Goodyear, most times they are caused by other motorists, as in the recent crash when a driver failed to yield to the motorcyclist at 3600 E. Ray Road. Whether you drive a car or motorcycle, or a ride a bus or bike during your daily commute, Arizona’s new legislation on “lane splitting” will impact you if it passes. 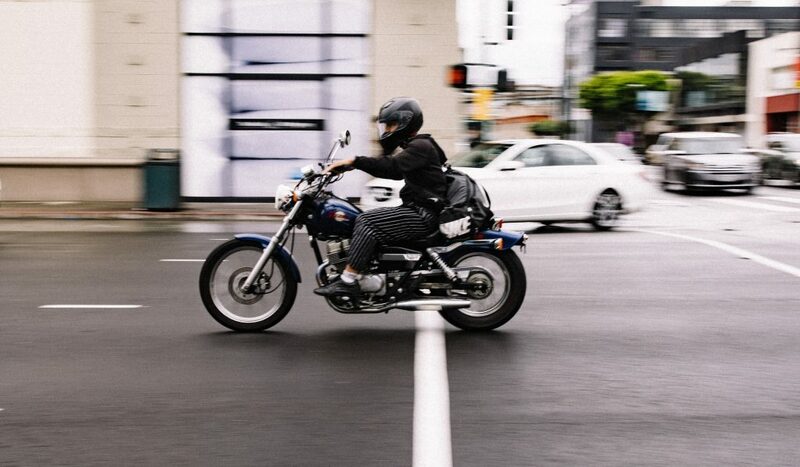 Lane splitting means allowing motorcyclists to drive down the middle of two lanes, giving them the ability to pass cars that are traveling at a slower rate. Many countries outside of the U.S. allow lane splitting, as does California. Other states are beginning to introduce legislation to allow the practice, including Oregon. Motorcyclists are able to pass slower traffic and reduce their chances of being rear-ended by inattentive drivers. Traffic becomes less congested when motorcyclists don’t have to wait in line. Allowing motorcyclists through means less idling motors and less pollution. Motorcyclists might be tempted to speed through traffic instead of using caution. Cars might change lanes and forget to look for lane splitters. Car drivers might become aggressive when they see motorcycles passing and avoiding the traffic. There is an increased risk of accidents when motorcycles and cars have to share a smaller space on the road. This new legislation could mean a lot for you. You may be able to weave through traffic and get around more quickly when you ride your motorcycle. It means you’ll have to learn to ride more carefully and more cautiously around motorists who might not be aware of the lane-splitting law. It means you’ll have to help your fellow drivers become aware of the rules so you can be safer on the road. And while the law can benefit you, you don’t have to take advantage of it. If it doesn’t seem safe to pass and you don’t want to risk being sideswiped by another driver, you can just obey the old rules and wait behind other vehicles. Use your discretion and use caution as you ride. If the law does pass, you’ll be responsible for knowing the rules about when motorcycles can split the lane and how you can avoid hitting them. Obey all existing traffic laws such as double-checking your rear-view and side-view mirrors before you make a lane change. It means making space for motorcycles to drive between cars instead of crowding them, and it means sharing the road with others, including motorcyclists, bicyclists, pedestrians, and public transportation vehicles. Are You a Bicyclist or a Pedestrian? For you, the new law means being extra attentive to the road and watching for motorcyclists who could be maneuvering between cars to pass. While you’re used to paying attention to the lanes, now you must also pay attention to the line between the lanes and any vehicles coming through. Stay tuned about State Senator David Farnsworth’s proposed bill, S.B. 1007, and how it might affect you. There will be plenty of debate over whether or not it is safe, and whether or not it will pass. For more information about motorcycle safety, or what to do after a motorcycle accident in Arizona, visit our website. Safe riding!